Airservices is committed to facilitating the successful entry of RPAS into controlled airspace in a staged process that will integrate with manned operations. Consistent with this goal, Airservices continues to participate in the Civil Aviation Safety Authority (CASA) UAS Sub Committee. As an important step to the integration of RPAS within controlled airspace operations, we have produced the Management of Remotely Piloted Aircraft Systems in ATM operations – Operational concept document which details our approach to the management of unmanned operations and forms the basis of current and future developments by which we intend to foster growth in the RPAS sector. We are committed to an inclusive approach to the safe integration of RPAS operations and recognise the opportunities and challenges that the RPAS sector generates. We are committed to the immediate and longer term programs of work necessary to align systems and processes with the needs of RPAS operators. Where CASR Part 101 (101.080) requires permission from air trafﬁc control these applications will be assessed by Airservices and if approved, permission is granted to the RPAS operator via CASA. All applications for operations within 3NM of a controlled aerodrome or above 400FT within controlled airspace must be forwarded to the CASA RPAS Office in the first instance. Visit ‘Flying drones/remotely piloted aircraft in Australia’ (www.casa.gov.au) for more information. Airservices may approve commercial operations for UAS operations within 3NM (5.5KM) of the movement area of a controlled aerodrome. 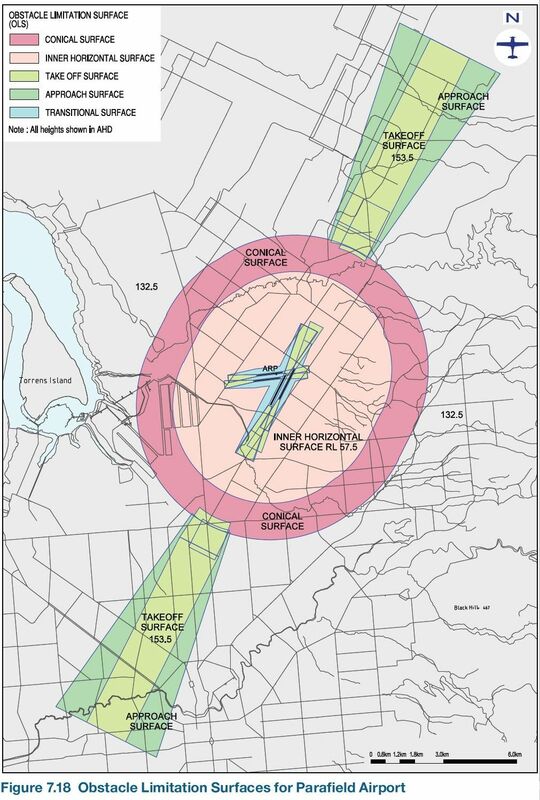 Some applications are unable to be approved due to the nature of the operation and/or proximity to the aerodrome. Where approved, the RPAS operation may be subject to restrictions of, but not limited to, geographic lateral limits, vertical (altitude) limits, a specific time block and specific communication requirements. The CASA Manual of Operational Standards (MOS) directs Air Traffic control (ATC) to separate RPAS and manned aircraft using conventional separation standards in situations where the RPAS is capable of supplying real-time navigation information (from an approved navigation system) and is able to communicate with ATC on normal ATC communication channels. Visual line of sight (VLOS) operations below 400 FT above ground level (AGL) are managed on a risk assessment basis and using segregation methods approved by Airservices. Segregation methods will evolve in line with emerging technologies. Aircraft priorities at controlled aerodromes are contained in the Aeronautical Information Publication Australia (AIP) ENR 10 Regulation of Flight – Assessment of Priorities. For RPAS operations outside 3NM (5.5KM) from the movement area of a controlled aerodrome at or below 400ft AGL, Airservices does not require speciﬁc notiﬁcation. Submission for operations in this areas should still be made to CASA via the RPAS ofﬁce. The exception to this is where CASA and Airservices believes there is a higher risk to aviation due to proximity to helicopter landing sites and runway approach and departure paths. 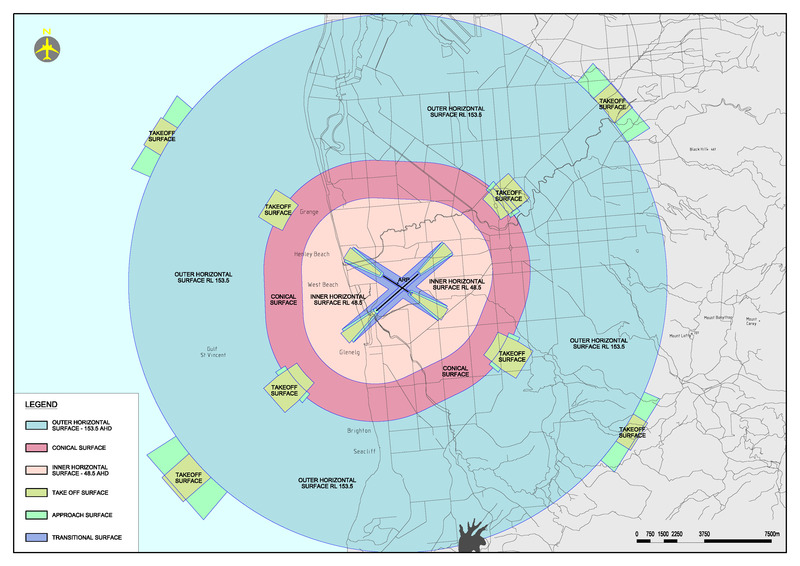 Note: These links and diagrams are representative of the OLS for each aerodrome. For confirmation of accuracy and currency of the information please contact the aerodrome operator.